Join the authors of Sweet Romance Reads on Facebook Thursday, February 8th from 2:00 - 8:00 pm EST for their yearly Valentine's Party. There'll be books, prizes, and lots of fun. 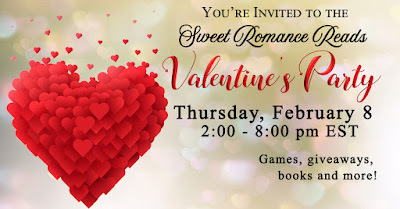 Be sure to join the Sweet Romance Reads Cafe first, however, to be able to post at the party. Thanks for the info, Raine. These Facebook parties are so much fun! I'll be there from 6-7! !